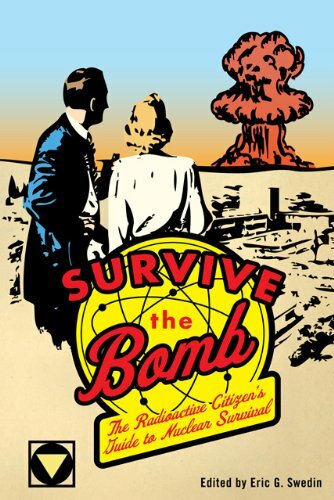 Attention, citizens and fellow travelers of the Cold War: Survive the Bomb is your family’s ultimate fallout shelter companion. Keep this book at the ready next to the emergency drinking water and vacuum-packed canned meats and vegetables for that moment when the saber-rattling between the world’s superpowers turns Atomic. Be alert and be prepared. Don’t let a little thing like an atomic particle spoil your day.